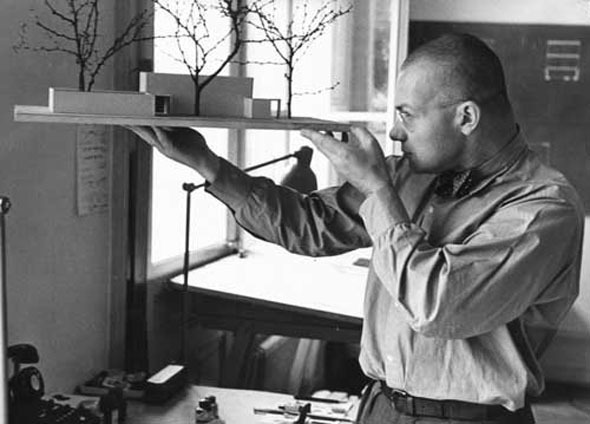 Max Bill was one of the leading figures of the Bauhaus generation, pupil of Walter Gropius and kindred spirit of Le Corbusier and Mies Van der Rohe. 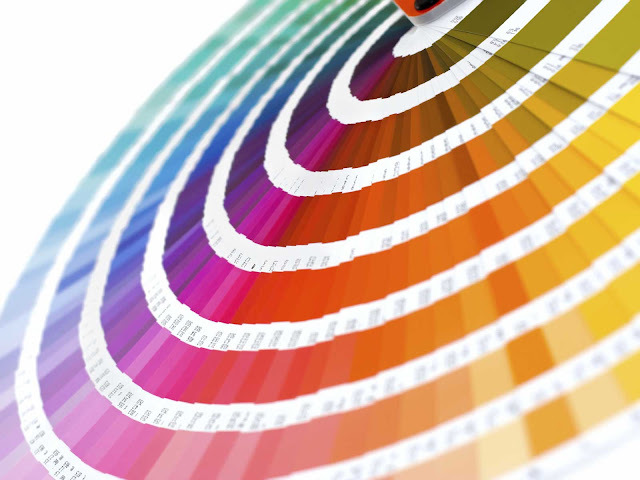 He was a virtuoso designer and creative artist, as his diverse activities as a painter, architect, sculptor, teacher, and designer amply demonstrate. 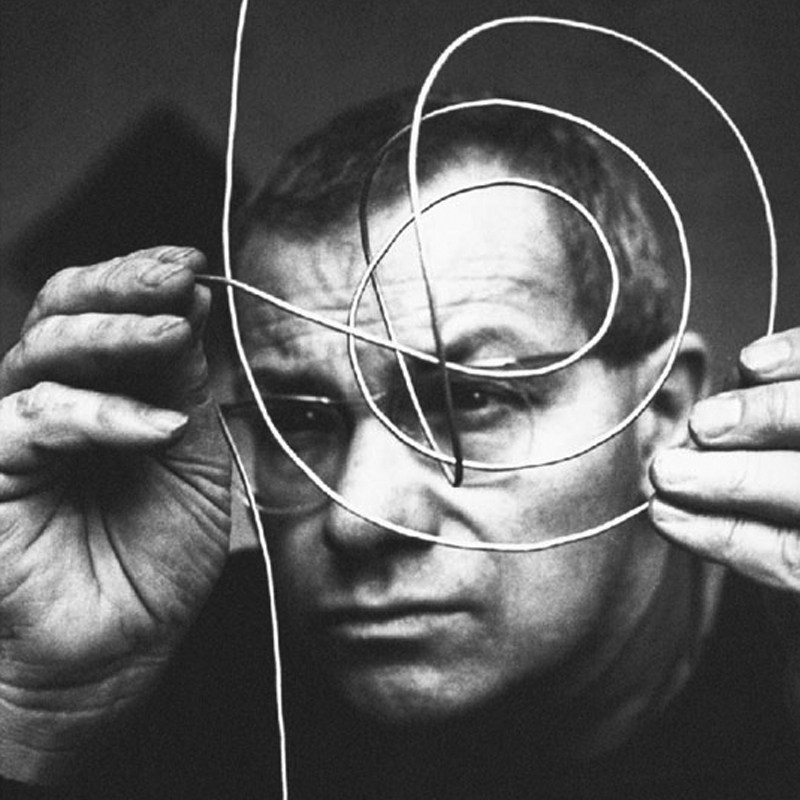 Max Bill was the single most decisive influence on Swiss design beginning in the 1950s with his progressive work. 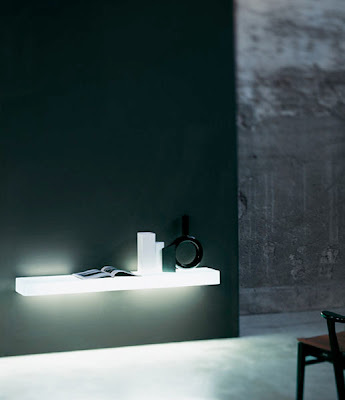 As an industrial designer, his work is characterized by a clarity of design and precise proportions. 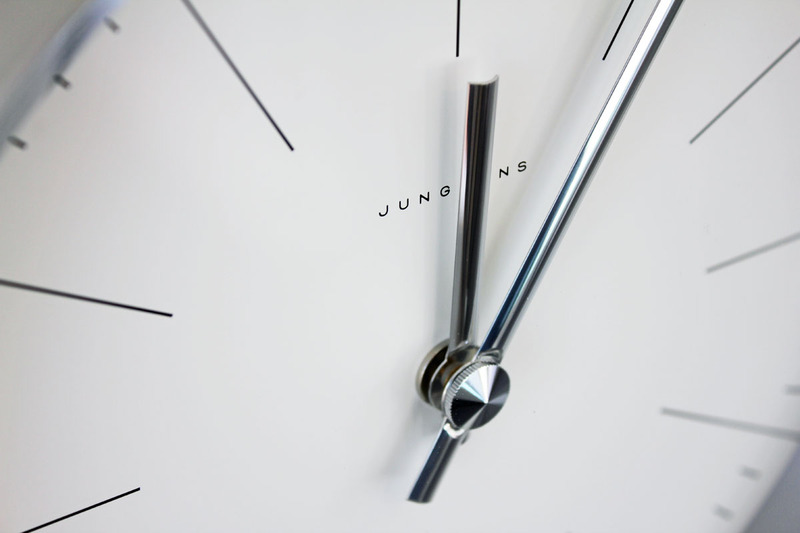 Fine examples are the elegant clocks and watches he designed for Junghans, a long-term client. Max Bill Modern Wall Clock with Lines. This timeless modern wall clock was designed by Max Bill in 1956. The perfect wall clock for the modern home office, business or residence. 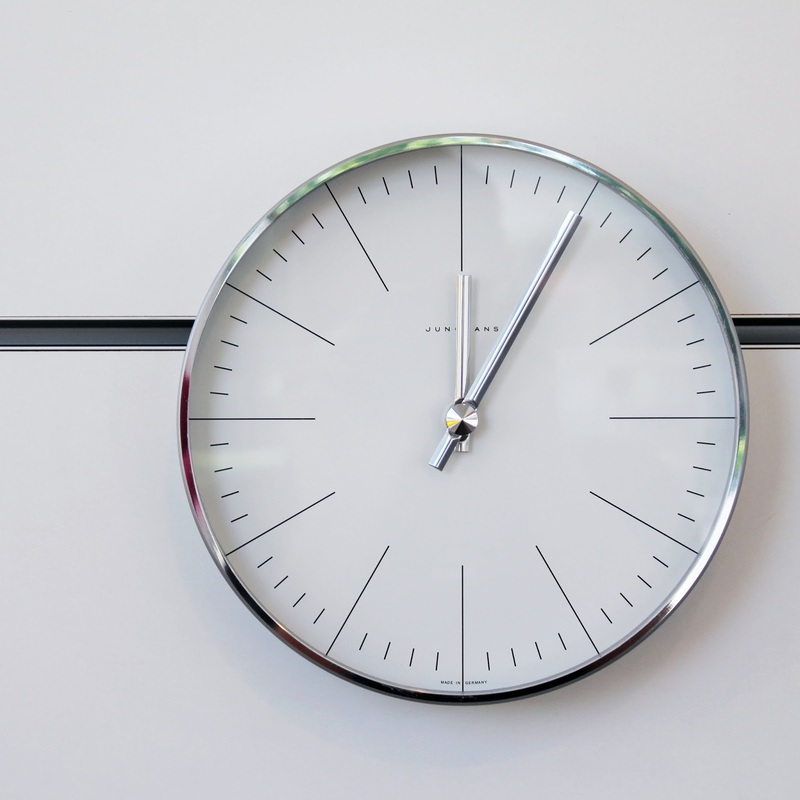 This elegant and perfectly balanced wall clock was designed by Swiss industrial designer Max Bill in 1956. 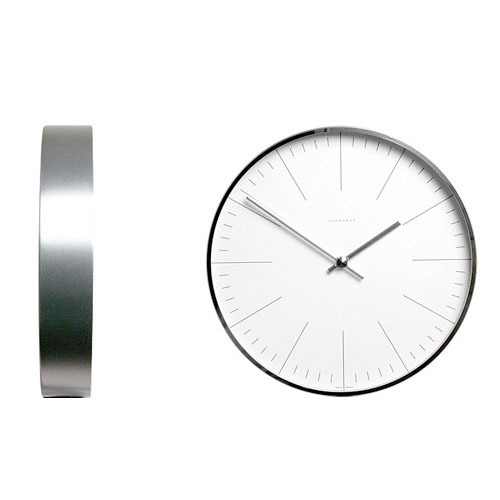 This beautiful and perfectly proportioned wall clock displays the minimalist design style which made Max Bill famous. 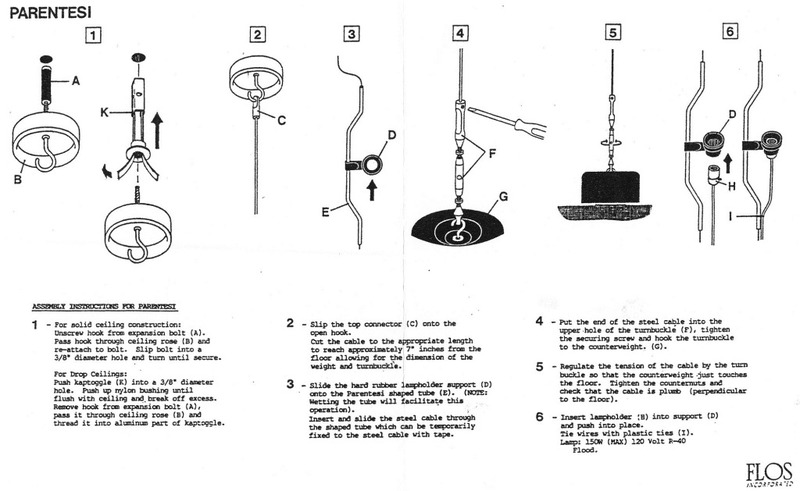 The work of Max Bill was a continuous balancing act between free art and applied art, between severe, reduced forms and flowing natural ones, between philosophical thinking and practical application. Examining the subject of "time" was a fascinating challenge for Max Bill, and one that occupied him for decades. 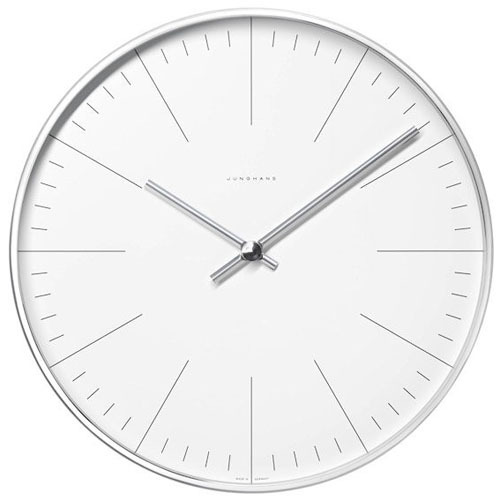 A remarkable example of his work is this wall clock which uses the underlying beauty of extreme simplicity, less is more. 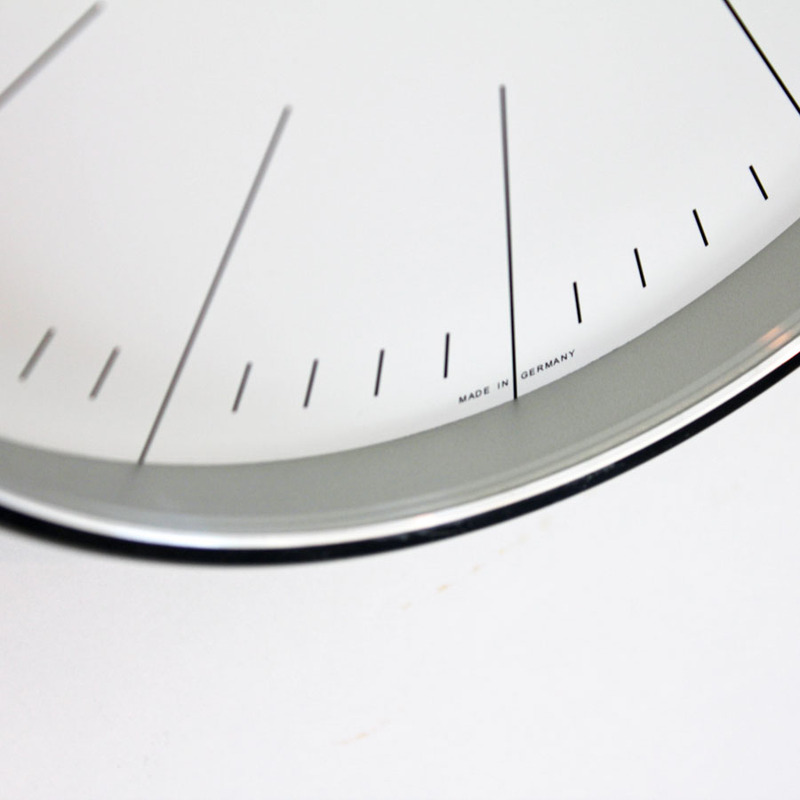 The Max Bill clock with lines is easy to attach to a wall and works with a single AA battery.